Recommended for all positions. 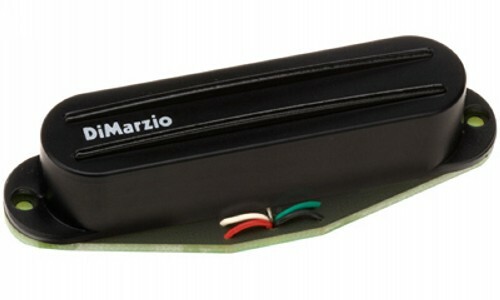 Bridge position with lower output models in neck and middle, or neck and middle position with a higher output bridge pickup or full-size humbucker. The obvious question about The Cruiser® is "How does it compare to a single-coil sound?" Our feeling is that the unwound strings ("E", "B", and "G") are very close, and the wound strings ("D", "A", and low "E") are a little fatter-sounding than a true single-coil. This is really effective for getting open-sounding chords, because high and low strings sound more spread out from each other. Having a total magnet pull that's about 40% less than standard single-coils also means The Cruiser® can be adjusted much closer to the strings for more power than stock pickups can achieve.